The Passaic Neighborhood Center for Women is a collaborative ministry that provides a peaceful and safe environment for women to meet, share and grow. The Center is guided by the belief that when women are empowered, the family is strengthened. 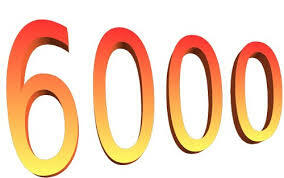 Through the support of the Diocese of Paterson and its religious communities, through the donations of generous benefactors, through grants from religious communities and the County of Passaic, through the hard work of our staff and volunteers, through our collaboration with other organizations, and through the dedication of our women, we are very happy to share with you that we have surpassed 6,000 visits since opening our doors in September 2013! During this time, our faithful volunteers have worked over 3,300 hours -- not only planting gardens and teaching English, quilting, crocheting, computers, art and Rosetta Stone, but touching lives and strengthening families in one of the poorest areas of New Jersey. Currently, we are happy to distribute a multitude of diapers and baby wipes to our women, thanks to the generosity of donors, old and new. Additionally, Sister Elaine is coordinating our very first, professionally-produced, promotional video. What else is in store for 2017? Stay tuned to our blog and website to find out. In the meantime, we say THANK YOU, THANK YOU, THANK YOU!! Today is January 3. How are you doing with your resolutions to lose weight, exercise more, pray more, read more, work less, be kinder, be less stressed, spend more time with family, or a whole host of other possibilities? Are you frustrated by your lack of resolve already -- only three days into the new year? If so, we at the Passaic Neighborhhod Center for Women would like to offer one word to help you get back on track: hoy. Translated from Spanish into English, the word hoy means "today." So, why is our word not "today," rather than hoy? Are we suggesting that you should add learning Spanish to your well-intentioned, but seemingly fading, resolutions? Indeed, it is a Christmas banner containing the word "HOY," and it currently hangs in Sister Ann Marie's office at the Center. The word appears on the wall hanging as a result of a miscommunication. The woman who sewed the banner wanted to affix the English word "JOY," but with Spanish and English pronunciations being what they are and with the intermingling of Spanish and English so frequently in our lives at the Center, the end result became a beautiful Christmas wall hanging containing the word "HOY" -- that is, TODAY. And we don't consider that to be a mistake! In fact, we embrace it! It is one of the words that guides our lives! At the very beginning of the Center's ministry, months before we opened our doors to the women for the first time, a wise mentor advised that we should have as our goal to do one thing each day. That got us through the hard times when, some days, we could only point to that one thing we did. As time went on and the Center opened and grew, we realized that we only needed to be able to get through the day. So, we opened the doors in the morning and closed them in the afternoon, being able to look back and appreciate the day, learning what we could learn and preparing for the next day. Now, over three years into this ministry, planning and preparation for the future are more formalized, but we retain the ability to focus on TODAY. Following the advice of Jesus in Matthew 6:34, we try not to worry about tomorrow, as "tomorrow will take care of itself" and "sufficient for a day is its own evil." To focus only on TODAY, on this moment, makes it easier to celebrate the successes and bear the mistakes. So, dear friends, as we re-commit ourselves to our resolutions, we must remember to focus only on TODAY, not five months from now, or even five days from now -- only HOY! May God bless your 2017 abundantly!